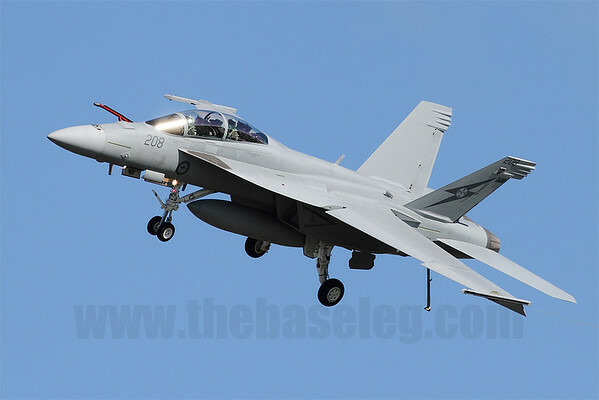 Australian Defence Minister Stephen Smith has revealed that Australia will decide in 2012 on whether to acquire more Boeing F/A-18F Super Hornets to mitigate against the risk of an air defence capability gap developing in the Royal Australian Air Force (RAAF) as a result of the risks of further cost blowouts and delays afflicting the troubled Lockheed-Martin F-35 Lightning II Joint Strike Fighter program, coupled with the RAAF's "legacy" F/A-18A/B Hornet fleet's planned retirement by 2020. Responding to a question posed in Parliament, the minister has stated that while Australia has placed "sufficient padding" around the program to ensure that the nation is sufficiently covered in air defence, the JSF program's troubles was reducing the buffer against risk mitigation measures in terms of schedule, and although the Australian Defence Department has recommended that a decision has to be made on enacting alternative plans to the JSF by 2013, he has decided that a decision will be made next year to avoid having to make last minute decision. In addition, Australia, together with other Joint Strike Fighter program partners, will carry out an exhaustive risk assessment of delivery schedule by the later this year. Full transcript of the Minister's speech to the Australian House of Representatives, 17 August 2011.